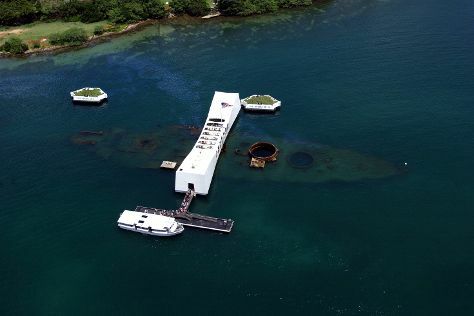 You'll explore and learn at USS Arizona Memorial and Wys Galleries. Head to Polynesian Cultural Center and Ala Moana Centerfor plenty of shopping. Change things up with these side-trips from Honolulu: Haleiwa (Sunset Beach Park, Waimea Bay, & more), Swim with Dolphins (in Waianae) and Pu’u O Mahuka Heiau State Monument (in Pupukea). The adventure continues: kick back and relax at Waikiki Beach, stop by Shimazu Shave ice, trek along Manoa Falls, and stroll through Diamond Head State Monument. For reviews, more things to do, traveler tips, and more tourist information, read our Honolulu planner . If you are flying in from New Zealand, the closest major airports are Daniel K Inouye International Airport and Kahului Airport. Expect a daytime high around 32°C in March, and nighttime lows around 23°C. Cap off your sightseeing on the 7th (Thu) early enough to travel back home.